Content on this website including text, images, logos, graphics, and software are all property of British Coursework Writers. The trademarked name made use of on our site belongs to the respective holding company and therefore cannot be affiliated with any service or product that is not part of this establishment. Our customers can get in touch with us through disparate mediums like email, telephone or live chats. Our customer care representatives who are available around the clock in order to assist you in any manner possible. Only after a payment has been cleared, will then our writers start working on the order. The longer the payment is delayed, the longer the work on the project will be prolonged. However, in order to avoid such a situation, pay via PayPal or depositing money into your bank account. The details regarding our bank account can be retrieved from our CSR. Our customers are liable for their account managmnet. We urge them to change the password we provide to them, in order to evade any form of security breach. We hold the select right to make alterations in our policies, site, and conditions at any given point without seeking permission from our customer beforehand. However, the changes will be visible on the site for the viewer to view. We at British Coursework Writers cannot be held responsible for the use or misuse of the services rendered by the website or by the site itself. We are strict adherents of the Data Protection & Companies Act Policy and therefore no information will be divulged to any third party. However, if demanded by law agencies, then we’re liable to provide them the necessary information. If an order with a deadline of 48 hours is cancelled after 24 hours of placement, then the company will hold back 50% of the amount as service charges. Order(s) placed on the deadline of 8 hours to 24 hours will not be liable for any refund. Cancellation amount will be reimbursed after 25 to 30 business days from the time of cancellation. Not all orders will be entitled to 100% refund. For the dissertation, no cancellation after 72 hours of order placement will be entertained. Almost every student in the UK has been taking help and guidance from professionals of the British Coursework Writers. Don’t fall back, be one of those intelligent students who knows that no one else can do this job better than a professional of the field. Scared or stressed out, thinking that the prices will be high? Don’t be! We know the students budget and we offer prices that are lower than our competitors in the market. Our clients have always loved our prices you will too. So don’t wait and order us your coursework now. Need help in completing your Papers? 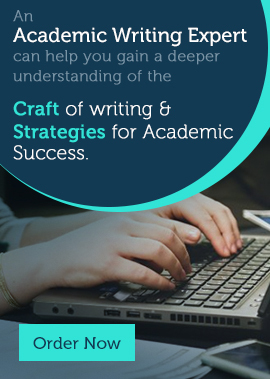 Get the best writing services from qualified scholars. Affordable and economical help to complete your paper.